It was St. Augustine who once said, “The person who sings prays twice.” At Transfiguration, all of our music, from singing voices to the sound of the Opus 17 organ to Transfigured Nights concerts, helps draw our hearts and minds closer to God. It gives glory to God, enriches our worship, elevates our souls, and delights our ears. Join us in this dynamic ministry by participating in the choir or ensemble of your choosing. If you have questions about any of our choirs, please contact the listed director. This choir of adults of all ages provides music for the two principal Sunday services, as well as for Holy Day liturgies. 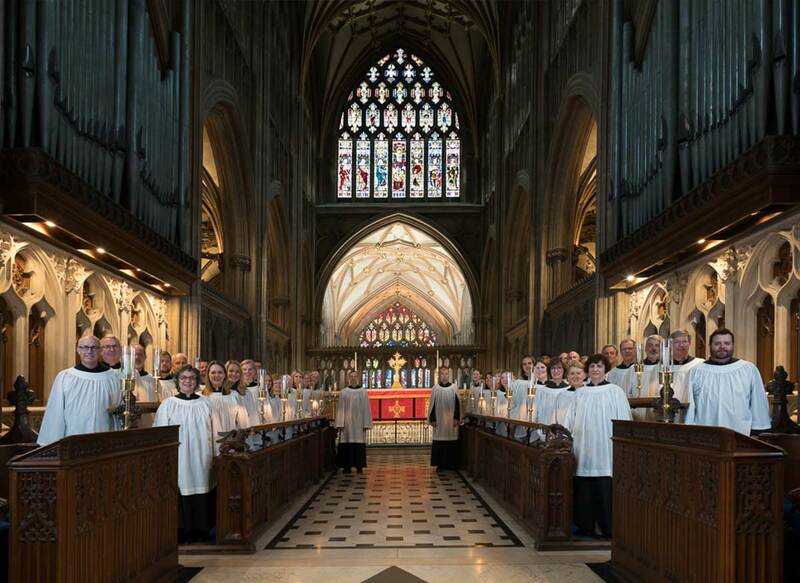 It is a regular participant of our Transfigured Nights Series, singing Choral Evensong services as well as special services and concerts in the course of the year. The choir normally divides into two to sing at either the 9:00 or 11:15 a.m. service on Sunday. Because of the challenging repertoire we undertake, it is very important, in addition to having a good voice for choral singing, to be able to read music and have previous musical experience. An informal audition is required in order to place choristers in sections and to give advice for work on individual vocal issues. Joel Martinson is the director of this choir. 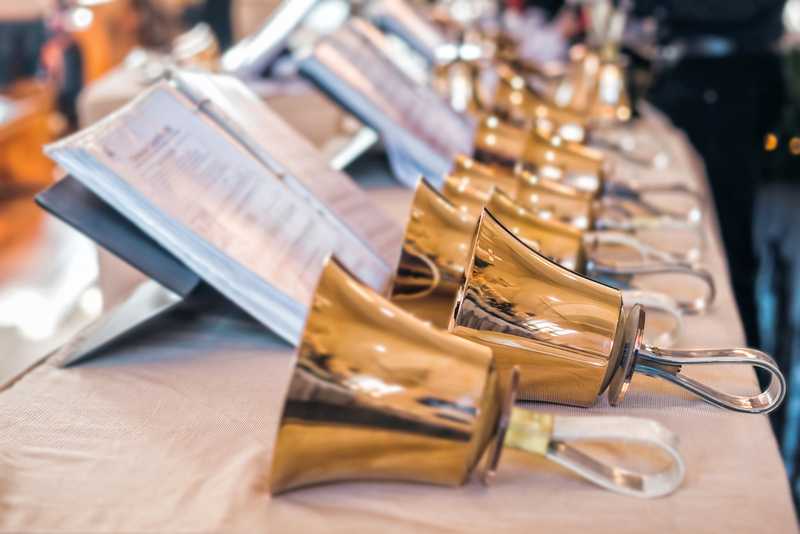 Transfiguration’s handbell choir is open to both adults and youth of the parish who read music and enjoy being part of a musical ensemble. 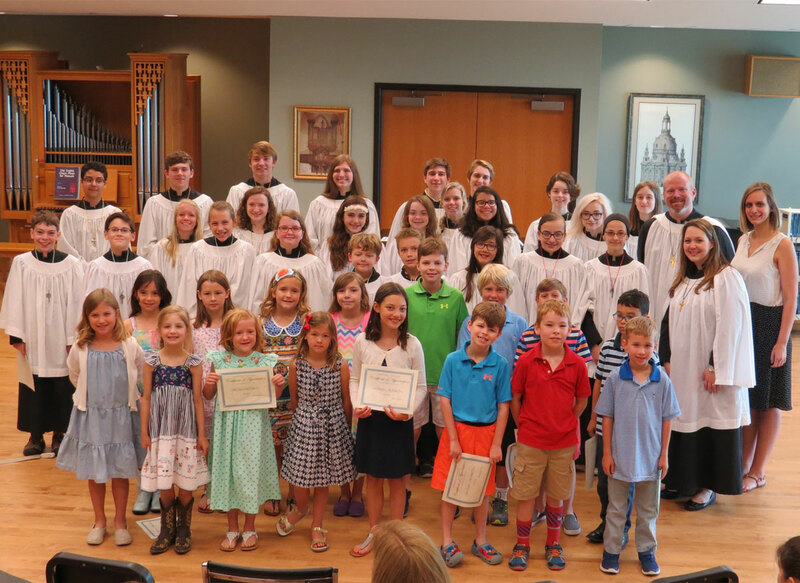 This choir plays approximately every four to six weeks during the school year and also participates in special services, festivals or concerts during the course of each season. Full-time and substitute ringers are welcome. If you read music and have an interest, please let us know. Joel Martinson directs this ensemble. 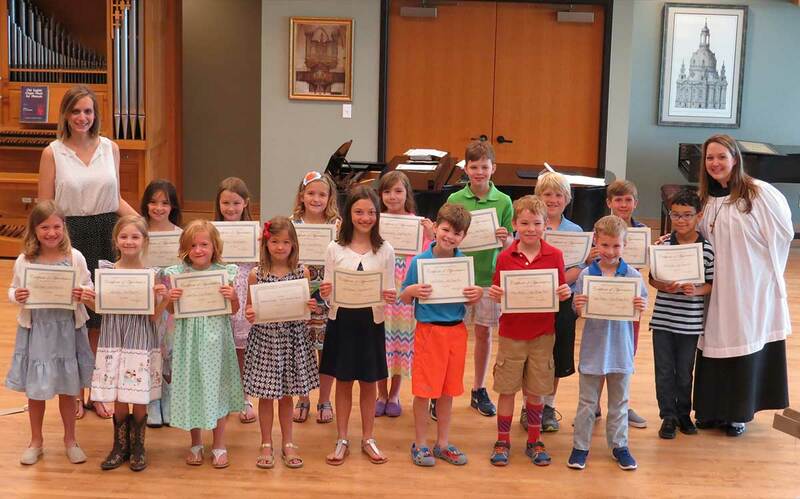 Children in 1st through 3rd grade are invited to leave with the Children’s Chapel procession each week and receive music formation in the Music Room before returning to the church at the Offertory. This group sings approximately once a month at the 9:00 a.m. service, as well as at the 3:00 p.m. Christmas Eve service. The choir also leads the music at the family services on Ash Wednesday, Maundy Thursday and Easter. Kim Ahrens directs this choir. 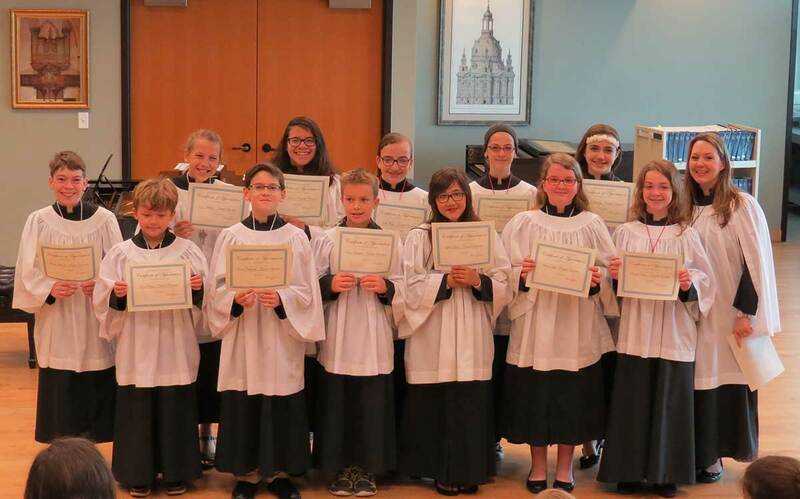 The Canticle Choir is composed of students in the 4th through 7th grades. 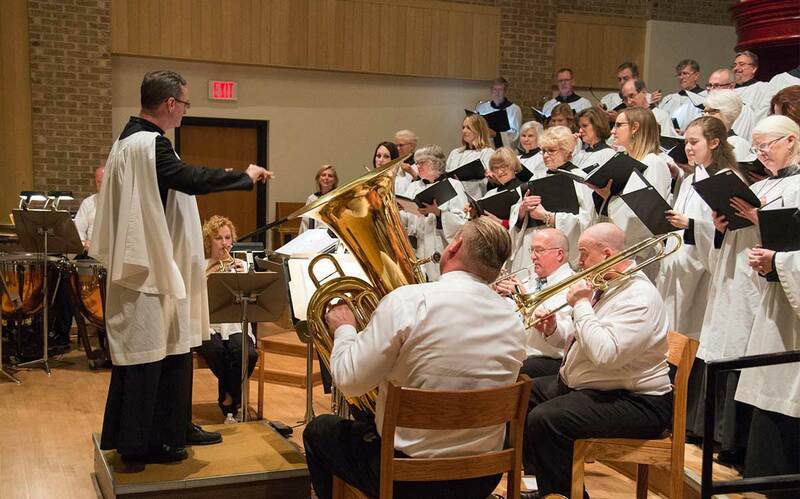 They rehearse Sunday mornings from 11:10 a.m. to noon in the Music Room of the Church Life Center South. This choir sings approximately once a month at the 9:00 a.m. service, as well as at the 5:00 p.m. Christmas Eve service, Epiphany, Good Friday family service and other occasions. Kim Ahrens directs this choir. This choir is for teens in grades 8 through 12 who enjoy singing and leading in worship. They sing one to two times per month, normally at the 9:00 a.m. service, as well as at the 5:00 p.m. Christmas Eve service, Epiphany and other occasions. We also welcome youth instrumentalists in the choir. Chris Ahrens is the director of the Youth Choir and is assisted by Kim Ahrens. We’d love to know if you have experience playing musical instruments, such as strings, brass, woodwinds, percussion, piano, harpsichord and organ, and are interested in sharing your gifts. Contact us if you’re interested. Keeping everything organized for our choirs and ensembles requires a great deal of behind-the-scenes assistance and organizational help. Most of these activities do not require any musical training and include checking-in new musical scores, music library work, office filing, folder organization, computer help, etc. Contact Joel Martinson at jmartinson@transfiguration.net if you’d like to volunteer. 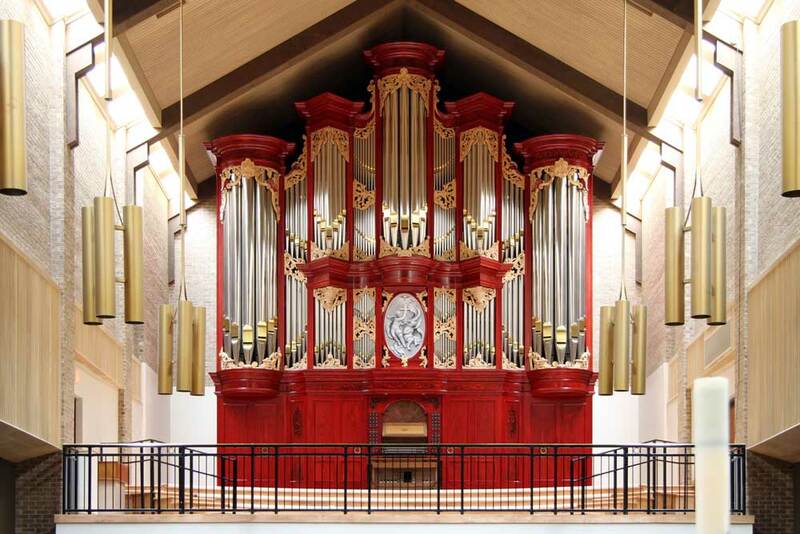 Transfiguration’s Jerry D. Godwin organ, the Opus 17 by Richards, Fowkes & Co. was built in 2009, and named for the third Rector of Transfiguration upon his retirement in 2013. This centerpiece instrument for Transfiguration takes advantage of a rear gallery placement, the best position for an organ, allowing the organ to speak over the choir and directly down through the nave to the transepts. The case is finished in bold red faux wood with trompe l’oeil garlands of fig leaves and fruit (a play on the parish’s name) and the front pipes are made of burnished 90% tin. There are 32 carvings or “pipe shades” of basswood (or linden) on the face of the organ, and a faux bas-relief painting by Cass Holly fills the center of the Positive division, traditionally a place for a carving of King David with harp or some other saint. A beautiful, rich case portends a beautiful rich, sound. The height of the gallery enabled the organ to be designed in three stories. The Great division is positioned in the center of the third level, with the Swell directly behind it in an enclosed box. The Positive speaks from below on the second level, and in closer proximity to the choir, with the Pedal division housed in the two side towers. On the lowest level, behind the keydesk and pedals, are three wedge-shaped bellows which provide wind for the organ, much of the wind trunk system, the electronic circuit boards for the stop and combination action, and the 12 wooden pipes of the bottom octave of the 32’ Posaune. Four 16’ stops on the manuals and three more independent 16’ stops in the Pedal division give the organ ‘gravitas’ commensurate with the imposing case. There are 47 stops (68 ranks) on 3 manuals and pedal of which twenty-five percent of the stops are reed pipes. Read more about the organ here. Transfigured Nights is our concert series that continues in the Anglican tradition of enriching the lives of the people of God through art and music. The series offers musical experiences to Transfiguration parishioners and serves as an outreach to those in the community.